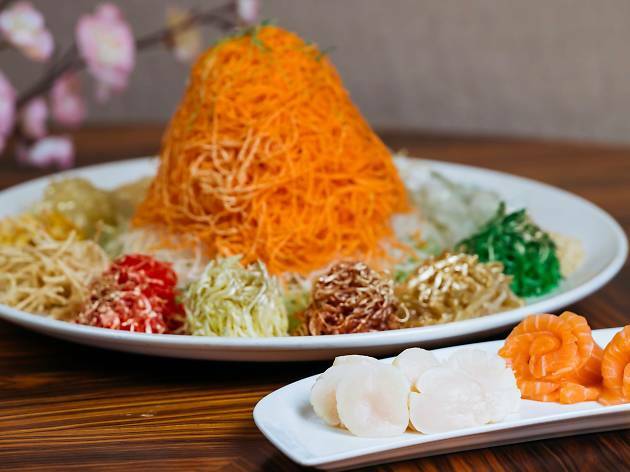 Get your chopsticks ready and roar cheers of blessings as you toss the Prosperity yu sheng from Man Fu Yuan’s CNY Success menu ($188 per person, minimum two people). 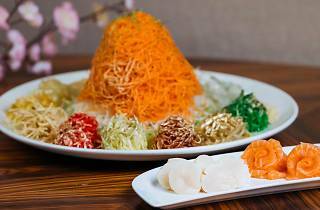 The yu sheng has fresh hokkaido scallops, salmon, and sake goma sesame dressing. Let the feasting begin with the double-boiled sakura chicken soup with black truffle and braised six-head abalone, before ending the meal with the egg custard pastry dessert platter.